Pochampally Ikat Sarees are more popular in India. 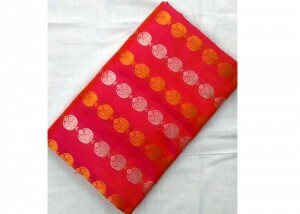 Ikkat sarees are authentic ikat handwoven sarees. Find latest Designs in Ikkat Sarees. These Pure Ikat Sarees collected from master weavers at Pochampally Village from Telangana State, India. These are also called Pochampally Sarees, Pochampally Ikkat Saree, Ikkat Silk Sarees, Pochampally Pattu Sarees, Ikkat Kanchi Border Sarees.